Schwarze & Schlichte is with 350 years of distilling art a spirit producer with international reputation. 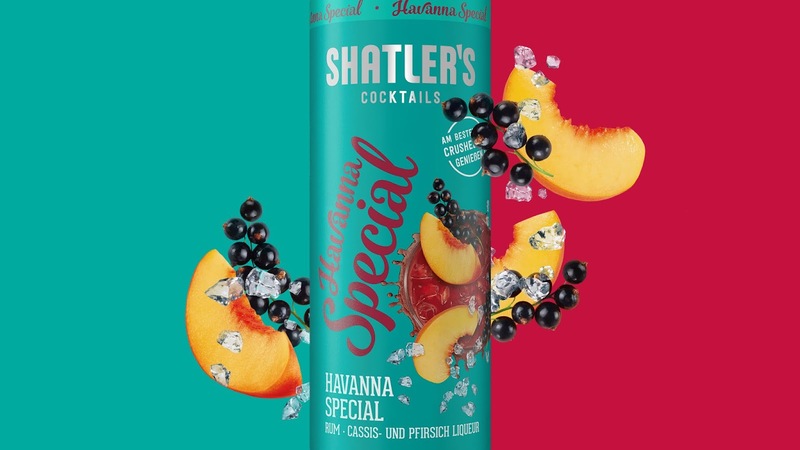 With the takeover of the brand Shatler´s Cocktails - a range of 15 cocktails with and without alcohol - on 1.1.2018, Schwarze & Schlichte is focusing on the ready to serve trend. Product trend meets design trend! 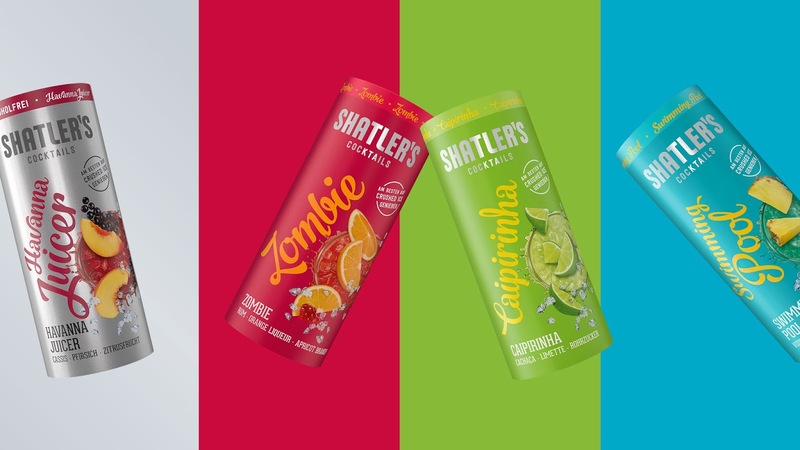 The Shatler´s Cocktails brand was relaunched extensively with the aim to develop its great potential. 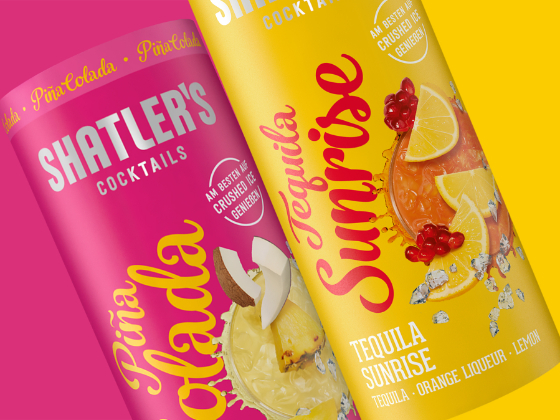 Thus, our task was to create a design concept as a basis for a new, unseen look for the Shatler´s Cocktails brand. 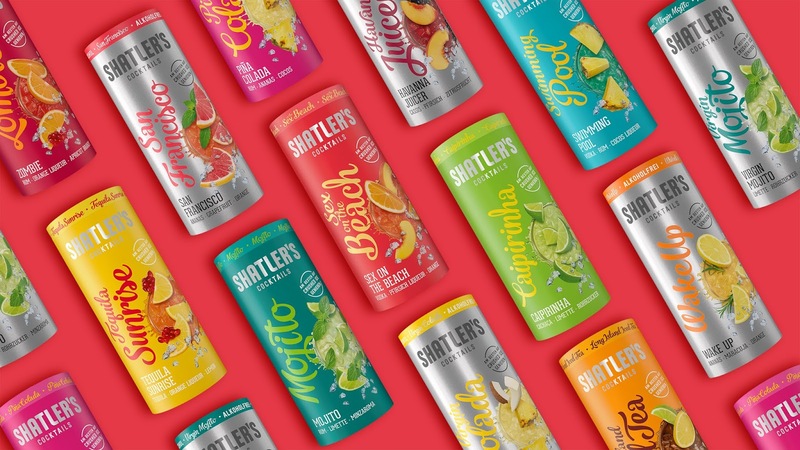 We wanted a brand identity that rejuvenates and modernizes the Shatler's Cocktails brand and give it an "attractive, fresh face". Trend-conscious, new target groups should be addressed and encouraged to try and taste the cocktails. 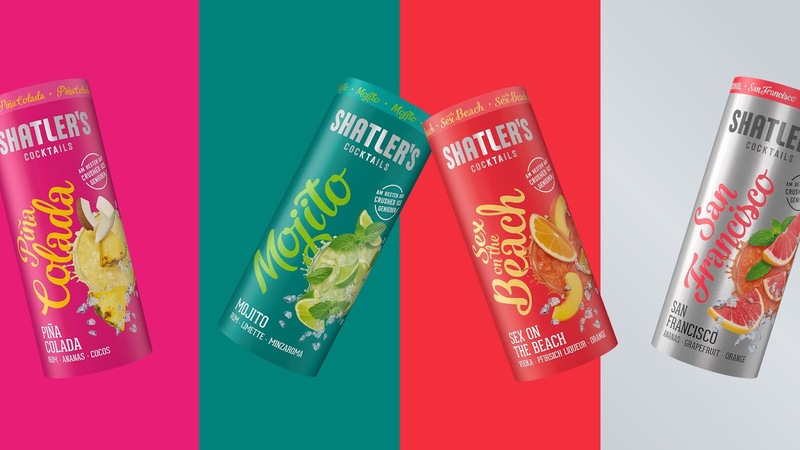 Evaluation of relevant international design and consumer trends, revision of the brand logo Shatler´s Cocktails, the creation of a new packaging design and a new brand world build on that basis. 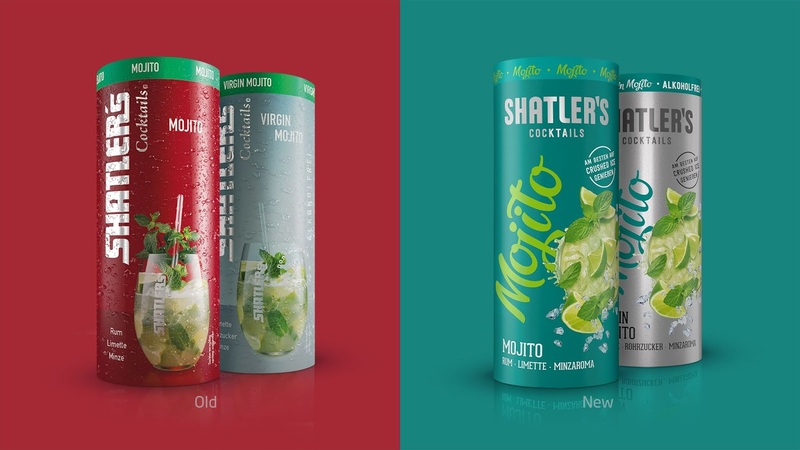 Transferred to the extensive advertising media such as displays, beverage menus, trade fair stands, sales folders and much more, the newly designed brand identity becomes a sparkling cocktail experience for the consumer at all touch points. Confirmed by test results, the new eye-catching design stands for a variety of cocktail pleasures and a relaxed, lively attitude to life. 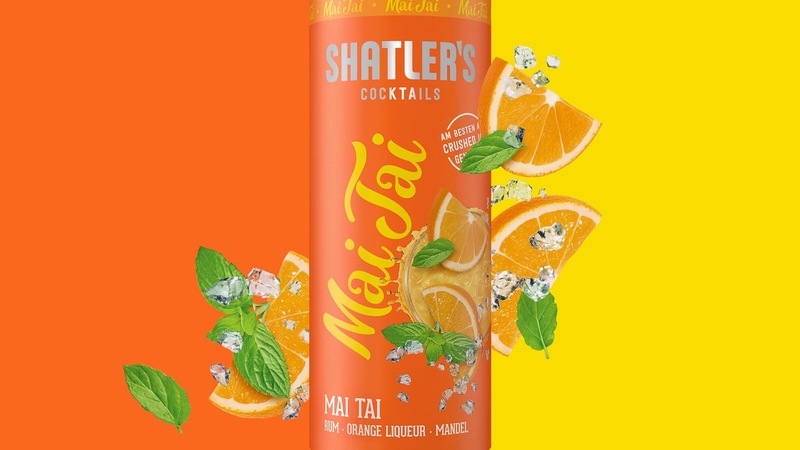 The strong colour contrasts of the varieties, the expressive typography and a lively staging of the ingredients and cocktails give the new design a summery and cheerful look. 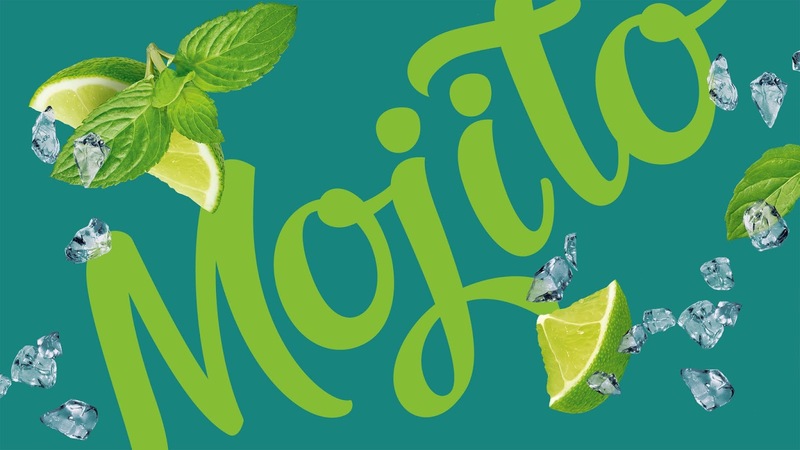 With exuberant joie de vivre and high quality, the new brand image conveys fun and positive values - for all young and young-at-heart cocktail fans.